Experts in Financial and Tax management for Individuals and Small Businesses. 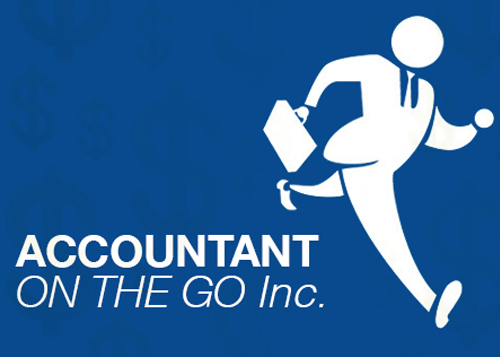 Accountant On The Go Inc. is a Long Island accounting firm founded by Timothy P. Ryan and dedicated to providing you with a wide variety professional accounting services—from general accounting and bookkeeping to hands-on QuickBooks® training, maintenance and support. Our one-to-one approach allows you to spend less time worrying about your financial challenges and more time growing your business. Call today: 631-547-8811. Our clients have found that since we travel to where it is most convenient for them, they find more time to focus on what they do best — nurture and grow their businesses. Furthermore, their accounting records and software are maintained, updated, and stored at their office or location of choice. By scheduling just a few hours per month, you can also realize reduced overhead costs associated with full time personnel. Additionally, team members can also be directed towards more cost effective tasks such as billing, estimates, and other vital business needs. It all adds up to a highly efficient system that increases your productivity and saves you time and money. We’re here to support QuickBooks users. We offer a wide variety of QuickBooks services and support. For over 20 years, we been at the forefront of QuickBooks education on Long Island and throughout the United States. And since then, hundreds of small and medium sized businesses have relied on our teaching methods to educate their bookkeepers. But we’re not just about training — we offer a wealth of QuickBooks payroll, accounting and support services to help your business reach its potential. From training to maintenance and everything in-between, Accountant On The Go Inc. is here to help. Located in Historic Huntington, New York on the North Shore of Long Island, Accountant On The Go Inc. serves a growing client base throughout North America. If you are a Huntington-area individual or business owner who has either been going the annual tax process alone, or hasn't had an experienced professional with a fresh set of eyes look at your financial scenario in the past couple of yours - you will probably be surprised at what a single phone call or email to Tim Ryan of Accountant on the Go Inc. can put in motion for you! Accountant on the Go Inc. has partnered with Living Huntington to offer all of our readers a free tax consultation. It's quick. It's painless. It doesn't cost anything. And remember: Taxes are something you need to plan ahead of for maximum benefit - so the best time to get started is right now! Use the buttons below to contact Accountant on the Go Inc. today - let them know you saw this article on Living Huntington for your free tax consulatation!